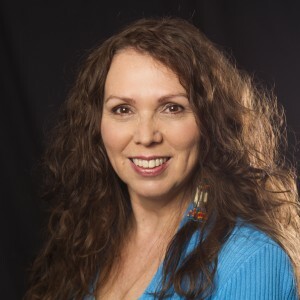 Restorative justice leader, administrator, educator and poet, Sandra Lynn Lynxleg has given voice, presence and perspective to aboriginal education. A status member of the Tootinaowaziibeeng reserve in Manitoba, Lynxleg was born in Halifax, Nova Scotia. Working full-time and raising three daughters, Lynxleg persevered for 13 years to earn her Bachelor of Education from UBC’s Native Indigenous Teacher Education Program (NITEP) in 2000. She went on to get a Master of Fine Arts in Creative Writing in 2013, and became a founding member and co-president of the UBC Creative Writing Alumni Association the following year. Her UBC accomplishments include the Amy E. Sauder NITEP Scholarship, the Sharp Family NITEP Graduation Prize, and two Faculty of Arts Graduate Awards. A child of a residential school survivor, Lynxleg focused her career on helping aboriginal youth succeed in school and in the community. She is a founding member and acting president of the Restorative Justice Society – North Okanagan. She developed and supported many Aboriginal education programs and services while an administrator for the Vernon school district, including two First Peoples’ Academies at Seaton Secondary School and a Hoop Dance Program that saw 25 hoop dancers perform at the Vernon Olympic Torch Ceremony. In the nine years she served as District Principal of Aboriginal Education, her programs and services helped to increase Aboriginal attendance and graduation rates, an improvement that was acknowledged by the BC Minister of Education. In 2010, 2013 and 2015, she co-produced and published three chapbooks of poetry featuring Elders and students in School District 22 (Vernon). These chapbooks are part of a larger provincial collection with the founder of The Elder Project. In 2014, her workshop “Strawberry Fields Forever: Planting Seeds, Growing Poets” was selected for presentation at the First Nations Education Steering Committee provincial conference. That same year, under the same title, her work with the Elder Project and the three chapbooks were recognized as an innovative approach to curriculum. The pedagogy and chapbooks will be featured in a partnership book with UBC’s Indigenous Education and BC Principals’ and Vice Principals’ Association, entitled Celebrating K-12 Aboriginal Education in British Columbia: Successes in Curriculum, Pedagogy, and Policy. Sandra’s first book of poetry, Glass Beads, was published by Black Moss Press in 2013. Lynxleg’s poetry has appeared in several anthologies, including Force Field: 77 Women Poets of British Columbia. She has been published in the Fiddlehead, Leaf Press, Our Canada Magazine, Rice Paper Magazine, and Quills Canadian Poetry Magazine.